Odds and Ends, for a Sunday in February. My daughter Alana's high school basketball team (Charleston Collegiate) went 8-0 in their conference. They are now playing in the South Carolina SCISA State Championship Tournament. They won their first tournament game and play again Tuesday. If they win Tuesday, they advance to the quaterfinals next weekend. It would cost me about $2,000 to fly back east to see her play in that round. That's about a 15 cent move on NNVC. Also, a month ago Alana's coach called me here in Washington to tell me that the prior night, with her team down 14 points with 3 minutes to go in the game, Alana hit 4 straight 3-pointers, a jump shot and 2 free throws to win the game for her team. I've never been so proud of her, and told her so. That I missed that moment in her life, haunts me still. About three weeks ago the Gonzaga star forward, Josh Heytvelt was pulled over in a traffic stop and ultimately arrested when police found a bag of mushrooms in the vehicle. The pretense for the stop varies from police reports on a broken taillight(note singular) to defective taillights (note plural). The pretense for the search was first reported to be the "odor of marijuana" and later changed to "the bag of mushrooms was in plain view in the back seat." Student accounts say that Heytvelt had just left a party in a private residence and police were selectively pulling over vehicles looking for drunk drivers. Heytvelt was not charged with anything related to the car, or his sobriety, or even given a field sobriety test, he was only charged with felony possession of psychedelic mushrooms. You other defense attorneys know what happened, an illegal stop and an illegal search. But heck, they were only college kids, no harm, right? Except once a certain NBA draft pick, Heytvelt is now suspended indefinitely, his BB career in jeopardy if not gone altogether and Gonzaga will now be lucky to make the NCAA tournament at all. Yes, the team that beat North Carolina last fall. Reading Trend Following by Michael W. Covel. The sub-title is "How Great Traders Make Millions In Up or Down Markets." My favorite chapter so far is an analysis of the great stock market bubble burst in 2000-2002, including the Sep. 11th drop. Billions lost, investors wiped out, companies reduced in market cap by 95%. Those were the losers, but who was on the other side of those Long trades? According to the author, with empirical evidence, Trend Followers. I'm only half-way through the book, and if the rest of it is just as riviting, I'll write more later. Meanwhile, here is a link to the author's website. I am getting a lot of comments and questions from readers, overwhelming in a way. Please understand that I am trading during the day and it is hard to get to them all in a timely manner. Then I post a new Blog, like this one, and questions on the previous Blog, although still there, sometimes slip through cracks of day-to-day mayhem. Should time allow, I'll go back into the archives and bring forward all the unanswered questions and post a special FAQ Blog. So don't take my not answering your question personally, it's my bad, not yours. Interesting news item from HEB - also working on bird flu, but with tech. that would apply to various viral diseases as well. PHILADELPHIA--(BUSINESS WIRE)--Hemispherx Biopharma, Inc. (AMEX:HEB - News) announced today initial results of a new primate treatment program with Viroclinics, based in the Netherlands, and directed by Professor Albert Osterhaus, a world authority in Avian influenza spread and prevention. In the primate study, macaque monkeys were pre-treated orally (sublingually) with either Alferon-N (a proprietary formulation of 8 molecular types of human alpha interferon) or placebo. Thereafter, they were exposed to highly pathogenic avian influenza virus, strain H5N1, which has resulted to date in a greater than 60% death rate in humans. Control animals, as expected, shown massive pneumonia by both gross and microscopic examination which was greatly ameliorated by treatment with Alferon LDO (applied sublingually). The Hemispherx Vaccine Enhancement(TM) Platform is the utilization of Alferon LDO (derived from an FDA licensed therapeutic for another virus, HPV) via the Viroclinics collaboration based on promising results in a human volunteer study recently conducted in Hong Kong. Based on earlier primate studies reported by the independent Japanese Institute of Infectious Diseases (JIID), collaborating with Hemispherx, the addition of Hemispherx's second experimental therapeutic, Ampligen®, may also provide vaccine cross-protection against different H5N1 strains when co-administered with a influenza vaccine. In the expanded Australian clinical trial, studies will determine whether seasonal vaccine co-administered with the experimental therapeutic Ampligen®, may provide long-lasting seroprotection against either/both of the emerging strains of H5N1. The level of measured immune response to provide adequate protection in humans is as yet unknown, however, primate and lower animal research conducted by the JIID suggest that broad based cross protection in man by a single therapeutic treatment (Ampligen®), acting as a "TLR3 agonist" (stimulator) may be sufficient. The U.S. Department of Health and Human Services (HHS) has recently announced a new pre-pandemic vaccine procurement program out of concern that the existing vaccine "won't work well" against the newer pandemic strains now spreading thru birds in China, Indonesia (2004), the Middle East, Europe and Africa (2006) and Great Britain (2007). Based on these overall positive results, the Company has initiated active discussions with the U.S. Department of Defense regarding its biopreparedness, biodefense initiatives and priorities. A new Dines Letter arrived last night, another one in a series that was almost entirely devoted to Uranium as the opportunity investment of a lifetime. I have never seen Dines so single-minded for so long on investing in a particular sector. This from, "The Original Gold-Bug" and from one of the first major players in Internet stocks in the mid-nineties. "So is it 'too late to buy' uraniums? We still believe that this uranium bull market will be recorded as a veritable tsunami of profits, with money enough to be made for everybody, and that we are nowhere near a Top Formation because 'The Coming Uranium Buying Panic' has only just begun." I'm up to a dozen uranium stocks in my portfolio. As a group, they go up in value every day, although individually that is not the case as some do chop around, while others, like FRG, seem to just go up. Even yesterday, with the market getting trashed in every index, my Uraniums were net winners. 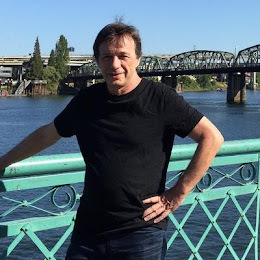 Today's Guest Blogger is Jon Anderson, who I have been fortunate enough to have met through this Blog and who is an avid participant in our world of stock trading. Jon describes himself as, "a war correspondent-turned-daytrader," which does seem to make sense, in the karma of the markets. A little less than a year ago, Sulphco, Inc (ticker: SUF; website: http://www.sulphco.com) was a $12 stock flying high on the prayer and the promise of new ultrasound technology that would turn heavy crude oil into light sweet. While the promises remain, prayers have done little in the months since to prevent a steady to slide to $2.25 just a few weeks ago. The reasons are predictable enough. A fair share of bad press, pushed deadlines, and heavy shorting certainly hasn’t helped. And even die-hard longs have described original inventor/chairman/CEO Dr. Rudolph W. Gunnerman as a mad genius, frenzied and Edison-like in the lab, but without the innovator’s business sense or savvy. Some critics call the company nothing more than an elaborate scam and their arguments are at times compelling. After bottoming out Jan 22, SUF has rebounded with a vengeance. Eight days after hitting a new 52-week low it captured the number one percentage gainer on Amex garnering more than a 25 percent increase. The reasons again seem straight forward enough. A shake up on the board appears to have instilled new confidence in both the promises and the prayers. Gunnerman has been pushed out in a boardroom coup, replaced by a GE PhD heavyweight in the CEO’s office and an investment fund greybeard in the chairman’s seat. Meanwhile, even the bashers are having a tough time dismissing the new Sulphco refinery now being completed in UAE. The new leadership team concedes there are still technical hurdles to overcome, but in their first conference call last week – hailed even by critics as refreshingly forthcoming – insisted solutions were within a few weeks’ range. Its climb unfazed by a weekend slam job in Barrons, today SUF crossed the $4 mark, up more than 6 percent from yesterday’s close. And this on no apparent news. Meanwhile, 8 million shares are sitting short, still largely uncovered. If SUF can see a 77 percent increase in three weeks with just a management shake up and a conference call, what would it take to return it to double digit prices? Surely more than just prayers and promises, but it certainly seems to be heading in the right direction. A few weeks ago I wrote up FRG as a potential break-out pick above $9.90. The very next day FRG broke out with a vengeance on almost triple the previous day's volume. Today it touched $11.20, before settling back a bit to close at $11.15. Jim Dines sent out a special alert today, reaffirming his fondness for FRG, so I think this one is going a lot further. Last Monday we revisited NNVC, suggesting the risk:reward looked pretty good at $0.80 for a run to at least $1.00. Two days later, at $1.00, I forecast a move to $1.50-$2.00. In less then a week, NNVC touched $1.52, closing today at $1.30. Well, I have another idea. Can we make it three for three? Bird Flu is rearing its ugly head again. We made some decent money last time this happened, although to the world's relief, nothing much happened. But in the interim, many of our bird flu stocks flew to dizzying heights. Are we again at a juncture where these stocks can benefit from a lot of bad health publicity? Maybe. I'm not suggesting running out and buying them all tomorrow. But I am suggesting that we watch the news and watch these stocks. If it starts coming together, a lot of bird flu news accompanied with bird flu stocks starting to move up with volume, it will be time to play the sector again. Unlike FRG and NNVC, this is less of a recommendation and more of a heads-up. Opportunities are sometimes like that.